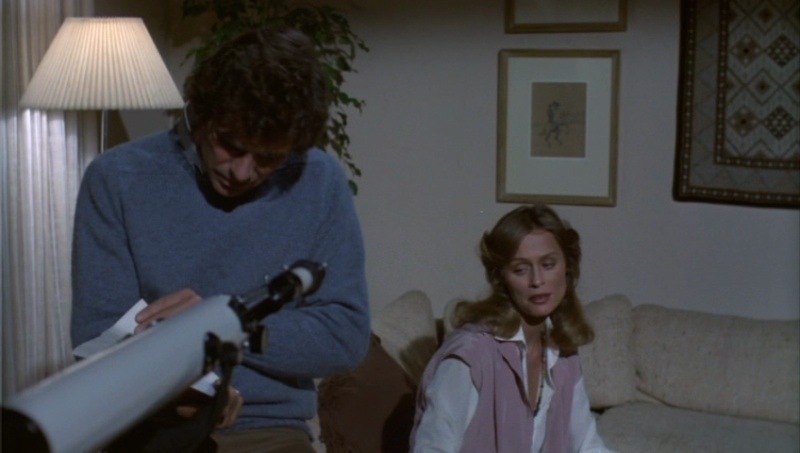 Someone’s Watching Me is a TV movie written and directed by John Carpenter, which originally aired in November of 1978, which was about a month after Halloween the film that started his career. However this TV movie was actually filmed prior to Halloween and originally Carpenter wrote it as a theatrical film, but Warner Brothers decided that it would be better served as TV movie and I happen to agree with that. While this is a solid film I don’t think it would work as well as a theatrical film and plays out better a TV movie. I enjoy a lot of TV movies from the 70s and 80s and even some in the early 90s and even when they turn out well they are often bogged down by TV conventions and can sometimes be overly sappy and dramatic even when dealing with serious issues, but Someone’s Watching Me is able to avoid those pitfalls for the most part and this to me is one of the best TV films and the film makes for a nice homage to the films of Alfred Hitchcock in particular Rear Window. For the longest time this was sort of the lost John Carpenter film as it was never released on VHS and didn’t get a DVD release until 2006 and as far as I know there haven’t been many airings of it either. This was long sought out and when finally released on DVD a good portion of the reviews were positive, but I think some people may have expected a little too much. Again remember despite being Carpenter’s 4th film it was shot prior to Halloween and since it was never released on home video we the fans have seen the films he’s made since and it’s again easy to forget this was just his 3rd film and let’s not forget he’s also working on a TV schedule. 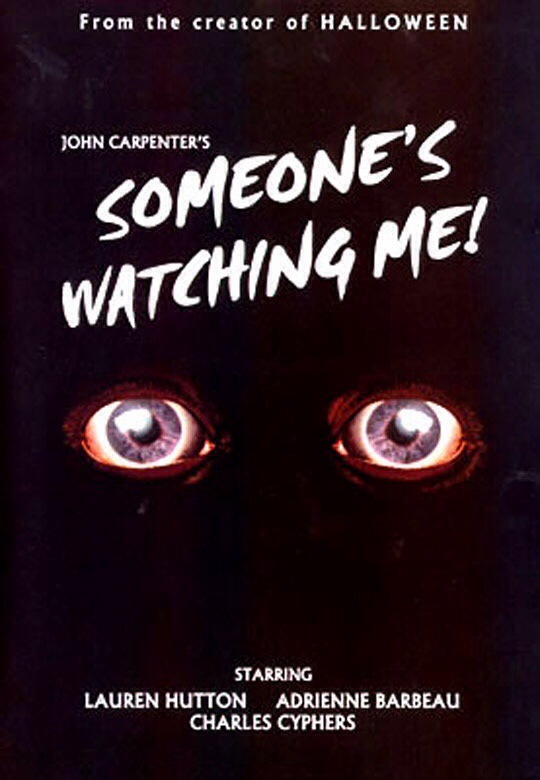 Someone’s Watching Me perhaps isn’t top 5 John Carpenter, but for me easily top 10 and a lot of what made John Carpenter such an iconic filmmaker is on display and he showed some great potential, which in my opinion he more than lived up to. Leigh Michaels (Hutton) moves into a new apartment and not long after moving in she begins to get strange phones calls and gifts. However since the caller isn’t threatening her the cops are unable to do anything about it so Leigh tries to find out who the stalker is and put a stop to him. The screenplay John Carpenter is excellent as its well plotted and filled with solid characters. John Carpenter has stated many times his love of Alfred Hitchcock and he pays homage to the master of suspense as the the script is clearly inspired by Rear Window however its not in anyway a rehash as Carpenter’s script has a style and plot all of its own. John Carpenter is a terrific writer and sometimes I feel he doesn’t get enough credit and with Someone’s Watching Me, he writes an excellent screenplay and while it isn’t perfect its still very good. 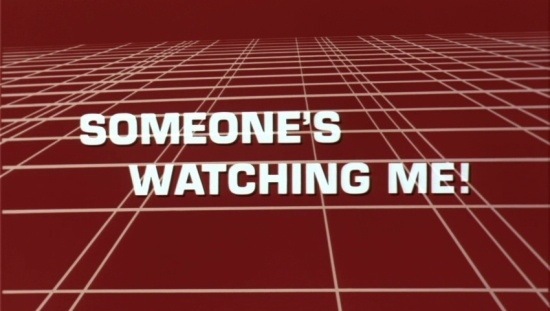 Due to the fact Someone’s Watching Me was OOP for so long it was almost a lost and forgotten film. Even though as I stated this came out after Halloween it was shot first so this would be Carpenter’s 3rd and he shows flashes of the brilliance he would later live up to. Carpenter delivers some great tense and suspenseful moments that rise above the good portion of TV films and even many theatrical films. The pacing is quite strong and Carpenter does an excellent job in creating an eerie feel. One of my favorite things about the movie is the phone calls. While they can be a bit creepy at times they start off as more annoying than anything. 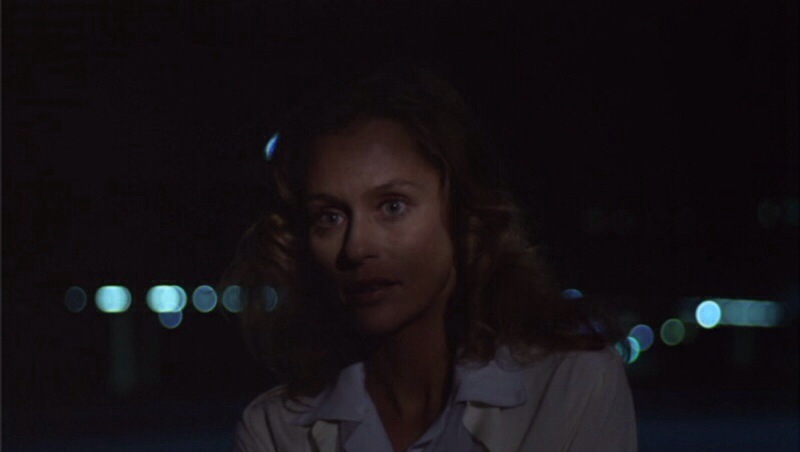 The caller isn’t really saying anything that could get him in much trouble and he’s actually sending gifts, which prompts Lauren Hutton’s character to say something along the lines of what do I tell the police he’s sending me gifts? 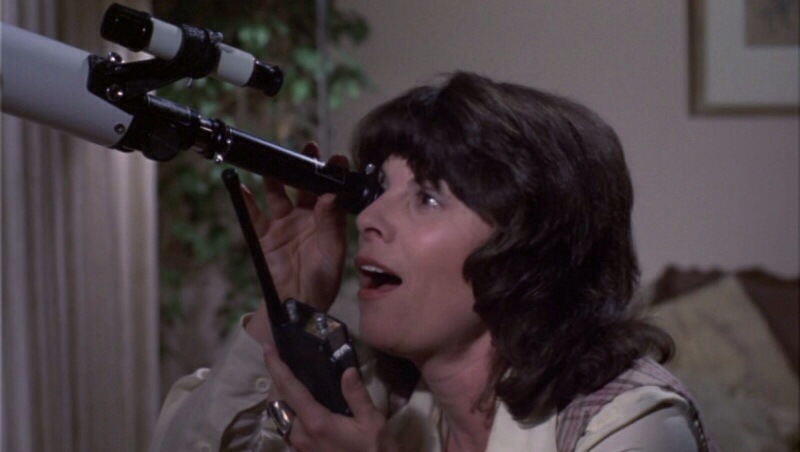 What makes the film so creepy is the total lack of privacy as the stalker knows Leigh’s every move. 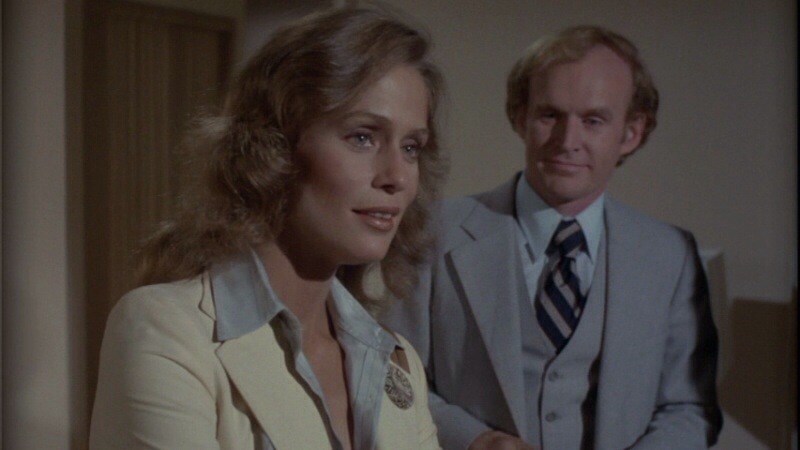 The 1st half of the film is strong, but its the 2nd half when Carpenter raises the stakes and while this may not be his best picture it does feature some of his very best scenes of suspense with the highlight being when Lauren Hutton’s character is in the callers’ house and Adrienne Barbeau is in Hutton’s house. 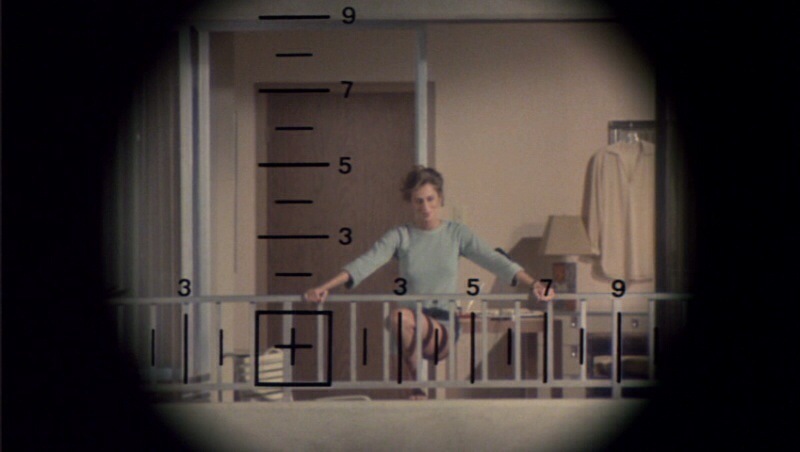 I don’t wanna spoil the scene, but it was a classic John Carpenter moment and was a great homage to Rear Window. Like I said even the best of TV movies are often bogged down by TV conventions, but Someone’s Watching Me for the most part is able to avoid these pitfalls. Again I’m not sure if the film would have turned out as well if it were a theatrical film, but regardless Someone’s Watching Me is an excellent film in John Carpenter’s career. Even though it finally got a DVD release, but the fact it was never released on home video before that and with TV airings quite seldom Someone’s Watching Me is still sort of forgotten, which is quite a shame since a its a great film. This may not be top 5 Carpenter, but again its easily top 10 and fans while the film isn’t perfect as again its a very early film in John Carpenter’s career, but when all is said and done with strong writing, a great cast and some truly suspenseful moments Someone’s Watching Me turns out to be an excellent film.